Has the Maker of me deliberately put me in this situation? Like Lazarus leaping from the darkest and deepest recesses of the dark in your heart and mine when I dive through the depth of the mind no pretext only to emerge from the sea blessed holding up seas crest element of the feminine divine in my thoughts eminent in my heart and my mind, half the time, but never in my hands as I watch you turn to sand I said goodbye…but why? Aether, real name Japhala Gwangwa has had a fascination for music and creative writing since he was very, very young. At 18 months he had his first toy guitar (which he named “Fay Fay” after the George Michael song Faith), at 12 he decided he wanted to be in a band “as a guitarist or a drummer”, but he still passionately pursued creative writing, at 15 he said why not both, and started writing a book and got his first real guitar, all the while freestyle rapping on a whim. From this point forth his love for writing and music exploded setting him further along the already blazing path toward his dreams where he taught himself the guitar, drums, the art of freestyle rap and spoken word as well as composing music digitally with the aid of his live instrumentation skills. Around the same time, he nurtured his passion for creative writing and after writing a several hundred page manuscript, started studying Sound Technology at Limkokwing Botswana. As a performer, Aether is multifaceted. 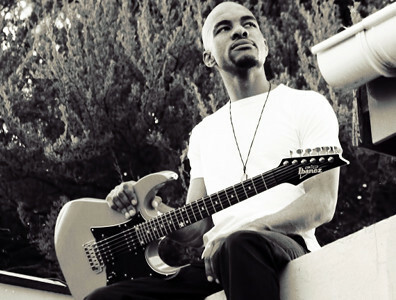 In 2008 he was rhythm guitarist and lead singer for “The Substance” an alternative rock band that went from playing in clubs and cafes to Woodstock Botswana in the course of one year. IN 2009/2010 he rapped, a lot, working with local artists and having a few songs on local and online radio. In 2010/11 he played drums for a popular reggae band while ‘session guitaring’ for artists who needed it. He sharpened his freestyle skills and spent time battling other rappers until he got bored of this and in 2012 he released a mix tape titled Memories of the Darkside, during this time he completed his Sound Technology diploma, passing with flying colours and getting a scholarship to continue his studies in Malaysia, where he acquired his Degree in Film and Television. While he was in Malaysia he performed regularly. Of his regular performances one of his most memorable was at Urbanscapes Malaysia 2013. In June 2014 he joined local superband the Contrabanditz which was made up of 5 solo artists united by a common cause. In October 2014 he was invited by the World Islamic Economic Forum to Perform at the 7th annual MocaFEST in Dubai where he also performed at an event called ARTNIGHTS @ Gate Village, which is one of the most widely attended art exhibitions in Dubai every year. In October 2015, he attend Maun International Poetry Festival with the Contrabanditz, as well as opening for Freshly Ground and Oliver Mtukudzi. In November Aether along with the Contrabanditz opened for Joss Stone at the Mascom Live Sessions. Boasting a repertoire of conscious lyrics inspired by the Light. Aether sets out to inspire all he comes across, with the goal of lighting a fire in them, one that will cause ripples of Hope, Faith and Love to wash over a darkening world.